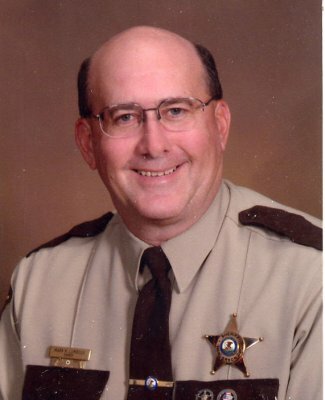 Henderson County Sheriff Mark Lumbeck received the nod from county Democrats in the Primary Election Tuesday to represent them on the ballot in November's General Election. Lumbeck was running in the Primary with the only county opposition against challengers Brian K. Grisham of Lomax and Wesley A. Long of Stronghurst. "I am ecstatic! I am running for my 3rd term and it is nice to know that the people have confidence in me and the votes definitely show it. "I really appreciate all the people who supported me and worked to make this happen, my staff, in particular, and my wife Debbie." Sheriff Lumbeck pledges to continue his service to the people of Henderson County. "I am looking forward to serving the people of Henderson County for another 4 years." One of his goals is to re-establish the D.A.R.E. program in the schools which has been absent for about 4 years. One of the problems has been their requirement of 3 years of road experience to teach. The D.A.R.E. program was cut out of the Illinois State Police budget several years ago, Sheriff Lumbeck said, and now D.A.R.E. Officer Training Course is being conducted through (DOT) with the next training May 1-12th on the campus of Illinois Central College, East Peoria, Illinois. "We have a deputy on staff, Matt Link, who meets the requirements and we are waiting for his approval from the D.A.R.E. organization to be accepted for the training." Sheriff Lumbeck said he will also continue on his fight against illegal drugs and Meth labs. "Over the last 7 years, 35 Meth labs have been taken out of this county, and it will continue to be a high priority to take more out of service. "We have averaged five a year," he said. Lumbeck said they are also continuing with 24 hour patrol in the county. "We do this with 7 deputies and myself," Lumbeck said. "Six years ago we had budget falls that took two deputies, but we still continue running 24 hour patrol which includes a 11-7 a.m. midnight shift." The Sheriff encourages anyone needing help to call 911. "I am still surprised how many people do not know we have 911. "The county has had 911 since September 2002 when it was Federally mandated. 911 from a cell phone will also be re-routed to our office," he said. In any kind of emergency, fire-ambulance-accident-police, residents only need to call the 911 number, and the Sheriff's office has certain protocol they follow to get help on the way A.S.A.P. (as soon as possible).